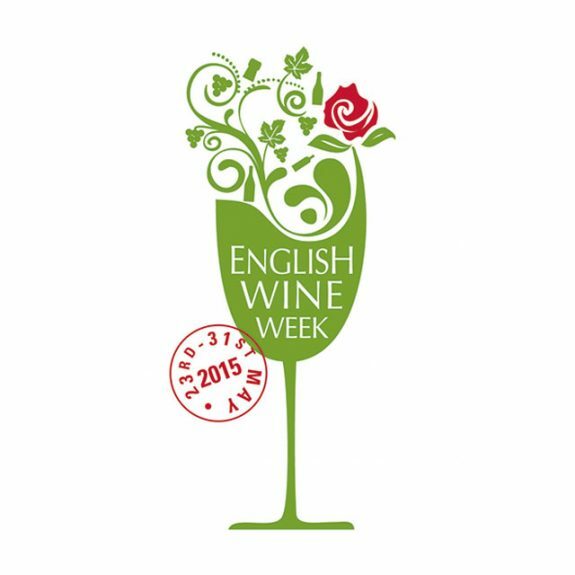 Celebrate English Wine Week at The Crown at Bray! If you would like to book a table with us too, please give Reservations a call on 01628 621936 or book via our online booking system. Don’t miss our last Champagne Society! There is no real ending. It’s just the place where you finish the story. In this case, we are talking about our Champagne Society. Our final Champagne Society will be on Thursday 28th May 2015 but until then, we propose a toast to the last month. 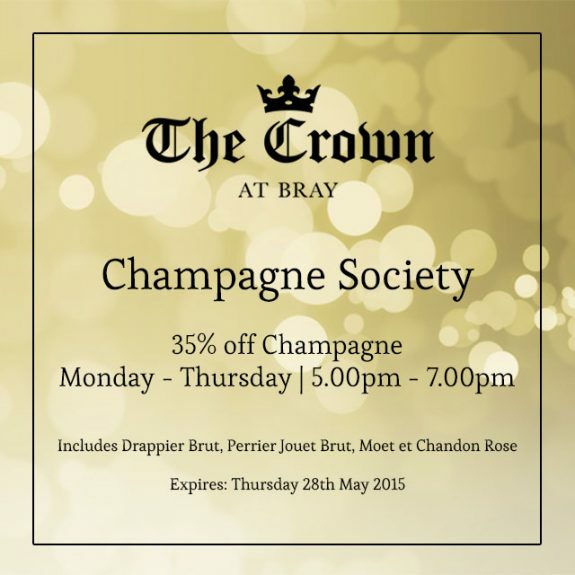 Held every week from Monday to Thursday, between 5.00pm until 7.00pm (up until Thursday 28th May), our Champagne Society offers 35% discount on Drappier Brut, Perrier Jouet Brut and Moet et Chandon Rose. If you haven’t already, there’s no excuse not to make the most of our discount. Be sure to pop in and raise a glass with us! 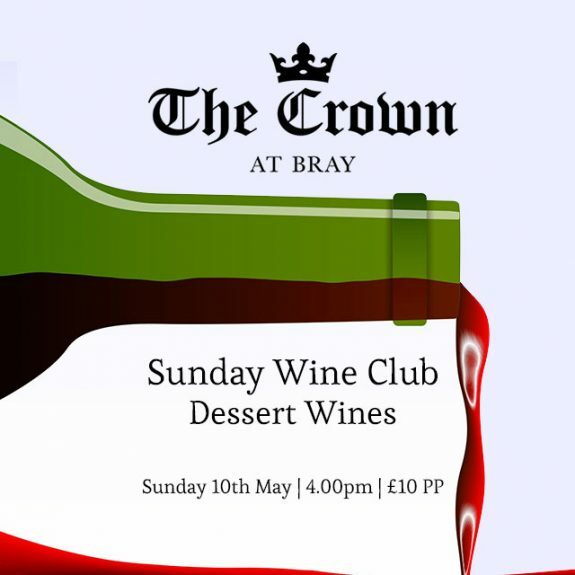 For all those out there with a sweet tooth, give Reservations a call on 01628 621936 to book your spot. Don’t forget, the usual £10 fee per person applies.